The Brazilian Senate finally did what had become inevitable, that is the impeachment of President Dilma Rousseff on August 31st by a vote of 61 to 20. Her crime was the illegal manipulation of government accounts, but the real transgression was presiding over the worst recession in decades. Her approval ratings went from 79% in March of 2013, to around 10% in March of 2016. In violation of the law, the former president moved funds between various government budgets. Her objective was to help cover fiscal deficits, that had emerged in a number of popular social programs. Ms. Rousseff took this action, in an effort to boost her chances of re-election in October of 2014. Her defense is that transferring money between different budgets, was a common practice among her predecessors. Since there was no real crime in her opinion, the whole impeachment process was the equivalent to a coup d’etat against her. Ms. Rousseff compared the ordeal to the injustice she experienced as a left wing guerrilla, during the days of the military dictatorship from 1964 to 1985. 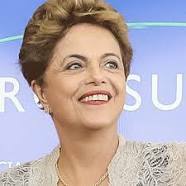 Rousseff gave an impassioned speech how the business elites and conservative politicians engineered her downfall. She has vowed to appeal the conviction, as her Vice President was officially sworn into office shortly thereafter. Vice President Michel Temer has been the acting President, since the Rousseff suspension in May. He will fill out the rest of her term which will end January 01, 2019. His ascendancy to the presidency, ends 13 years of rule by the left wing Workers Party. The Workers Party (PT) has been credited in lifting 40 million Brazilians out of poverty, through a government program of cash transfers to those living in poverty. Much of this would be funded through the global commodity boom which has now ended. The economic slowdown in China signaled the end of this bonanza, in the export of agricultural and natural resources. As the economic prosperity in Brazil began to wind down, the cost of these social programs began to accelerate. The arrival of a prolonged recession, made the whole social payments system unsustainable. Government spending outside of interest payments, grew twice as fast as the economy during the time that PT had been in power. Despite the claim by Rousseff that her policy decisions have always benefited the poor, this is no longer the case. One out of 9 Brazilians are now out of work. That equates to an unemployment rate of 10.9%, a third more than a year ago. Inflation is nearing 10%, which is forcing the Brazilian central bank to keep the punishingly high rate of interest unchanged at 14.25%. During her first term in office, she cajoled the bank to lower rates below which was prudent. This would later begin the inflationary spiral. It is the impoverished citizens of the country, that suffer the most under these conditions. An indication of how harsh economic conditions have become, is a recent survey that estimates nearly one third of the citizenry, have dropped their private health insurance over the last year alone. This puts even more fiscal pressure on the state financed public clinics. Rousseff began her tenure in 2011, with a primary surplus of 3.1% of GDP (Gross Domestic Product). This is before one includes interest payments on previous incurred governmental debt. Her presidency ended with a deficit of -2.7% of GDP. This diminution raised borrowing costs even further, which made the fiscal situation all the more desperate. The overall deficit, is now an alarming 10% of GDP. GDP to debt ratio is now 68%. It was just 51.69%, as recently as 2013. If nothing is done to reverse the present trend, it will exceed 100% around 2020. This could well lead to a sovereign default or a return to hyperinflation, maybe both. 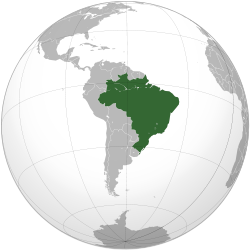 The Brazilian economy has now contracted for six straight quarters. The decline registered -3.8% in 2015. As a sign of a shift in power, prosecutors have charged the mentor and predecessor of former President Rousseff. Luiz Inacio Lula da Silva has been accused, of being the top boss in a vast corruption scheme at the state oil company Petrobas. According to officials, political kickbacks had caused 42 billion reais, the equivalent of $12.6 billion USD (United States Dollar) in losses at the firm. Worse yet, there is an accusation that he personally received 3.7 million reais or $1.11 million USD in bribes. To this point, he probably still remains the most popular politician in Brazil. Former President Lula da Silva has claimed through his lawyers, that the accusations are an attempt to discredit him and the party he represents. Brazilians have tired of the endless corruption and political cronyism within the government. His attorneys have also stated that the charges are part of an effort, to stop Lula da Silva from running for the presidency once again in 2018. The Workers Party has dominated Brazilian politics for over a decade. Lula da Silva was the first working class president, when he took office in 2003. Dilma Rousseff would be the first woman president in the history of the country. Newly installed President Temer and his cabinet are pro-business free market advocates, that will work to cut runaway spending. They are hopeful this will help restore financial confidence in the Brazilian economy. In addition, these initiatives if successful,will bring back more domestic and foreign investment. This change in policy, is a definitive move away from the large scale state spending projects that former President Rousseff promoted, in an effort to revive a stagnating economy. The new conservative president will spend his entire term, engaging in a massive reversal of leftist policy. In addition to the new fiscal discipline, he is supporting deregulation and privatization of business. Investor confidence in the new government, has already paid dividends. 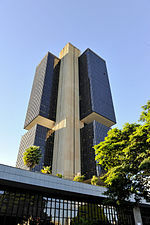 The stock market in Sao Paulo has strengthened, as has the domestic currency. The increasing valuation in the real, will be a crucial element in combating inflation. The cost of the insuring sovereign debt in the form of government bonds, has declined by nearly 25%. To get a handle on spending, Temer is asking for a 20 year freeze in expenditures in real terms. The other reform is a total overhaul of the pension system, which now has unsustainable benefit payments. As part of the package, retirement age will have to necessarily be raised. Of course both of these, will need an amendment to the constitution with a three-fifths majority to pass. Proposals of this magnitude in the past would have been difficult, but in the present environment may well have enough legislative support. Palácio do Planalto, the official workplace of the President of Brazil. The new government would like to be more draconian, in reducing government expenditures. Faster deficit reduction would politically be arduous. The citizenry have come to expect a certain level of public services, irrespective of their cost. Temer can only move so fast, in bringing the budget back into balance. A sharp reduction could damage the economy further and possibly create a populist rebellion. In recent weeks, President Temer has actually increased funding for a key cash transfer program (Bolsa Familia) and committed himself to maintaining a low income housing plan. He has also taken steps to partially continue a health care program (Mais Medicos), that brought in thousands of doctors from Cuba to serve disadvantaged communities. The primary deficit will only be cut to 2%, in the upcoming budget presented last month. The proposed spending freeze, will not return Brazil to primary fiscal balance before 2021. Public debt will peak around 90% of GDP around this time and then start to slowly decline. The new fiscal constraint of course, leaves little space to respond to any internal or external economic shocks. 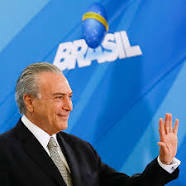 Brazilian Democratic Movement (PMDB), the political party that President Temer represents, is implicated in corruption and is embroiled in scandal as well. The party leadership will put a brake on many of the Temer reforms. One of their suggestions, is to exempt parts of the education and health budgets from the spending freeze. Unfortunately, these two items alone, comprise one third of the total budget. A number of needed tax and labor reforms, are almost impossible to pass in the present legislature. As a result of PMDB activities, Temer’s approval rating is below 20% and over half of the electorate would rather have a new election for president. This would derail much needed economic reforms in at least the short term. Therefore, Temer has a limited time to turn the economy around in order to save his agenda and presidency.